Don’t worry, the title isn’t as scary as it sounds! In Japanese style Reiki another word for toxins (the “junk” the body accumulates) is Byosen. sen translates as “accumulation” or “blockage”. Byosen accumulates naturally as a build up of “junk” in the body, also referred to as toxins. The most common places for these toxins to accumulate are (in no particular order): head, lymph system, large joints, collar bone, behind knees, ankles, inner organs, in between shoulder blades, any problem area, blood vessels, glands, body liquids, skin (ie: rashes or extra sebum). 2. Unbalance in energy flow through the body. When energy levels are low the body cannot detox properly. 3. Lack of motion in the body (ie: sitting on the couch instead of going for a walk, repeatedly) or, the wrong repetitive motion being created over and over (ie: running on a weak knee or hip). 4.Negative emotions that are not dealt with (ie: anger, jealousy, hatred, overwhelming/ paralyzingly depression, sadness, or grief). 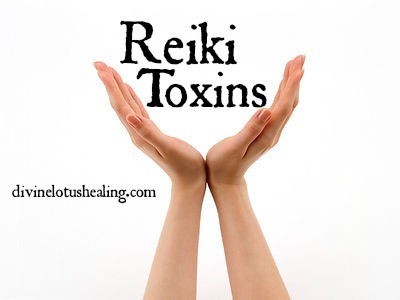 Lucky for us, Reiki helps to balance and rid the body of these toxins!